Sardinia is truly beautiful. There is such a wonderful range of landscapes in a small area; looming mountains, deep canyons, intriguing rock formations, deep caves with glistening stalactites, crystal clear blue seas, and some of the best beaches in Europe to cap it off. When the natural attractions are combined with wonderful Italian cuisine and warm hospitality, Sardinia might just be the perfect holiday destination. More than just the millionaire’s playground of the famous Costa Smerelda, Sardinia has it all. There are many great places to visit all over the island, so we have pulled together this handy guide help you decide when and where to go in Sardinia. What is the Weather Like in Sardinia? Sardinia has a Mediterranean climate and enjoys warm dry summers that are perfect for exploring the delights of the islands and soaking up some sun on the beach. It is relatively windy and there is shade to be found so you won’t find it quite so stiflingly hot as places like the Greek islands. As it is quite a large island the climate does vary from place to place, in general, the east is drier than the west and the more mountainous regions are cooler, as you would expect. Surprisingly the average annual rainfall on the western coast is higher than in London, but it is concentrated in the autumn and winter months. Autumn often remain warm but suffers from heavy rainstorms. Winters are relatively mild in low areas but cold in the mountains. The spring is mild and rainy, but generally drier than the autumn. That is the general picture anyway, obviously, there will be variations from year to year. We visited at the end of September and into October and the weather was glorious with just one rainy day in 2 weeks. Is it very crowded in Sardinia? The other important factor consider is the crowds. Sardinia can get very busy in the summer, especially on popular beaches. Italians love to holiday in July and August and these times are the busiest. This coincides with the best weather and is also school holidays across the northern hemisphere so this is when it starts to get really busy. Although you are almost guaranteed great weather, you may want to consider avoiding these peak months due to the higher costs you will find for accommodation and the overcrowded beaches you will encounter. If you do decide to come over the peak summer months, try and book for July rather than August as it will be somewhat quieter, and be sure to book well in advance as most accommodation will sell out. The shoulder season of May/June and September/October are great times to visit with a good chance of warm dry weather but without the crowds of the summer. If you are keen to swim in the seas it will be warmer in the late summer as it has had the whole summer season to heat it up. Going on the stats June should be your best bet for warm, dry weather without the crowds. But we had great weather at the end of September and it was very quiet everywhere we went. The summer season is considered to be over at the end of September and beyond this, you will find that a lot of services like beach restaurants and even some accommodation closes down for the winter. The best way to find a flight to Sardinia from your location is to use the Skyscanner website. This will check the available price with all airlines and allows you to filter by various options like flight time, duration, preferred airline etc. It is a great time and money saver and is always our go-to method for booking flights. If you are heading off with a young family, be sure to check out our guides to flying with a baby or toddler. If you are travelling from the mainland you will find ferry services to Cagliari (south coast), Porto Torres (north coast), and Olbia, Golfo Aranci and Arbatax (east coast). To book a ticket try one of the following Tirrenia (state-owned, year-round service), Moby Lines, Sardinia Ferries, Snav, or Grimaldi. Daily ferries link Sardinia with Corsica (you could even take a day trip to Bonifacio) from Santa Teresa di Gallura. Other ferry options include catching the ferry that links Barcelona with Porto Torres, or you could combine your trip with another wonderful (and very different) Italian island; Sicily, which can be reached from Cagliari. Looking for a town with old world charm and access to world-class beaches? Found on the northwest coast, Alghero is known as the coral city and has a distinctive, romantic Catalan influence. It is a fortress on the sea with great bastion walls, narrow cobblestone streets, charming piazzas with opulent churches, and an array of stunning shops with coral jewellery. It is our favourite town in Sardinia and despite the Catalan influence, it is the place that is the most like being in one of the old towns found elsewhere in Italy. Situated in one of the most beautiful areas of Sardinia, Alghero boasts a captivating sea, rugged mountain ranges, astonishing bays, calm inlets, white sandy coves, rich marine life, and diverse Mediterranean vegetation. What’s not to like? Alghero is an excellent departure point for some very interesting excursions, one of them being a visit to the amazing stalactites and stalagmites in Neptune’s Cave. 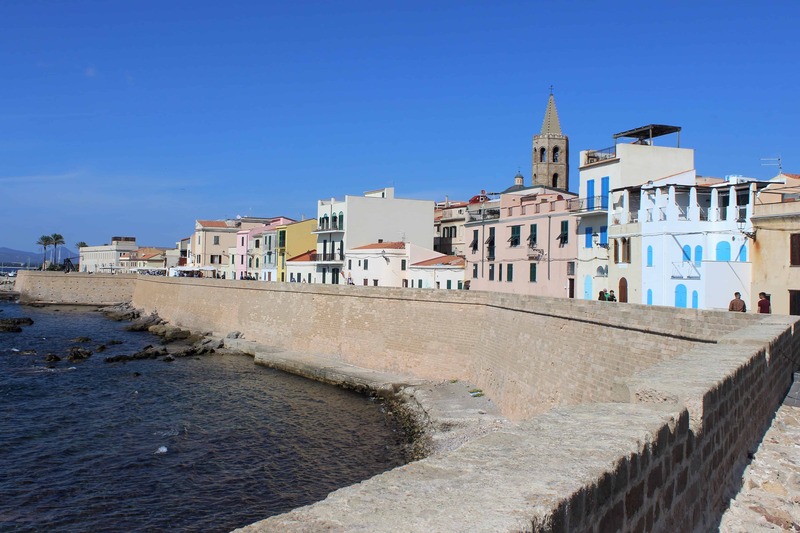 Alghero is one of the best towns to stay in Sardinia, with a wealth of attractions just a short drive away so you can easily spend a couple of weeks in the area without getting bored. Please check out our handy guide to the best things to do in Alghero. At the far south of the island, you will find its Capital, Cagliari. By far the most populous city on the island, Cagliari has more of a metropolitan buzz than you will find elsewhere. You may find that this is the starting point of your Sardinian adventures if you arrive at the airport for ferry port here. It is a great starting point and the coastal setting gives you quick access to some wonderful beaches. It is also a great place to embark on all manner of tours to other parts of the island that can be easily arranged through our friends at Getyourguide.com. 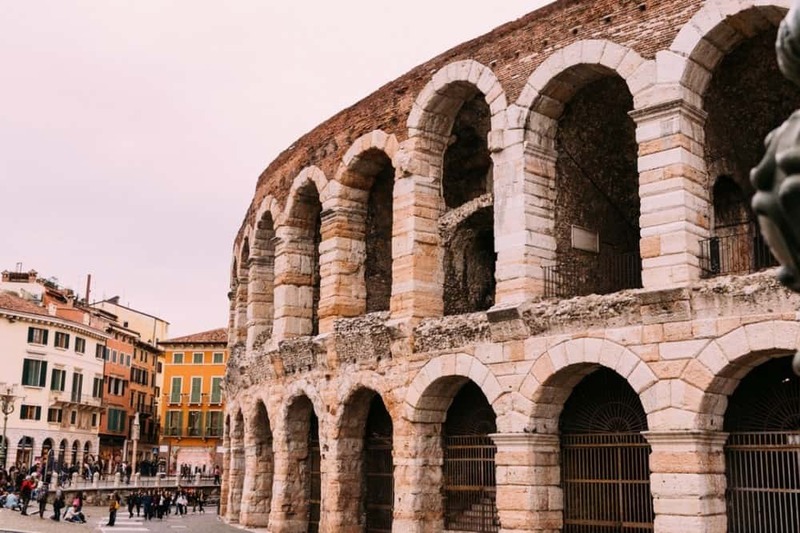 · Bastione di Saint Remy: Stop by here for a beautiful panoramic view over the city while exploring the old streets and piazzas of this interesting area. · Torre di San Pancrazio and Torre dell’Elefante: both typical examples of Pisan military architecture, which now function as great viewpoints for the city and port. · Santuario e Basilica di Bonaria: A pretty sanctuary and basilica complex. · Roman Amphitheatre: One of a number of ancient remains that are still visible in Cagliari. Just 20 minutes by ferry from Palau, the translucent seas of the La Maddalena archipelago, justify comparisons to the Caribbean more than anywhere else in Sardinia, albeit a more rugged version. In the strait between Sardinia and Corsica, this dreamy group of seven large islands and 55 tiny isolotti has some of the most spectacular beaches in Italy, and some of the cleanest and clearest water you will find anywhere. Despite the close proximity, the local residents ‘maddalenini’ have always seen themselves as a race apart from Sardinian ‘mainlanders’, much as the latter feel culturally distinct from the rest of Italy. When you visit the archipelago, you are sure to spend time swimming and taking long walks, but be sure to take a boat to reach the archipelago’s most spectacular land and seascapes. Razzoli: Is a spectacular island of gnarled, twisted granite rocks that crash into the calm seas. Budelli is a tamer and greener island, home to Spiaggia Rosa – probably the most famous beach Italy thanks to its role in the film Il Deserto Rosso.The name derives from the pink colour of the sand, caused by a microorganism that lives on seaweed. Unfortunately, after years of tourists taking the pinkest sand home as a souvenir, the beach is now a much paler, whiter colour. Still stunning though. Spargi: where pristine beaches such as Cala Soraya are backed by fragrant mastic trees. The town of La Maddalena is a surprisingly large, lively and sophisticated town. You will find plenty of bars, bookshops, cinemas, shops and restaurants to keep you busy and this makes it a great base for your stay. Despite the custom-built nature of resorts such as Porto Cervo, development has been tastefully designed to a master plan that ensures the built environment blends into the natural surroundings. Porto Cervo is worth a visit. The Piazzetta in the heart of the resort is a great spot to lounge in style amongst the jet set – the ultimate place to see and be seen. The traditional evening stroll along the quay is also a must, with fashionable designer boutiques on one side, and luxury yachts on the other. Stazzo Lu Ciaccaru – Top rated on Booking.com. Beautiful suites set in a relaxing natural environment. Great pool and a fabulous restaurant on site. Residence Hotel Lu Nibareddu – Where we stayed. Great value, great views and good location near to fabulous beaches. Good swimming pools and restaurants on site. If you are looking for the ultimate outdoor adventure in Sardinia then you need to head to the Supramonte. An outdoor playground where you can take on a whole range of activities from strenuous and gentle, always surrounded by the most spectacular of landscapes. Located in central-eastern Sardinia, the Supramonte is a largely uninhabited mountain range of sharp limestone cliffs and deep lush canyons. Blessed with spectacular Karstic highlands where rivers have carved deep ravines and canyons; the Supramonte is a natural wonderland where rivers flow mostly underground, creating awesome caves like the Grotta del Bue Marino and Grotta di Ispinigoli. The coastal area of the Supramonte borders the Gulf of Orosei and includes several spectacular beaches like Cala Luna, Cala Sisine, Cala Mariolu, and Cala Goloritze. The best base for exploring the Supramonte is the west coast town of Cala Gonone. It is a charming town and we think that it is one of the best places to stay in Sardinia. Hidden behind towering peaks and nestled against the shore, the town has a spectacular setting that has only recently become easy to access thanks to the tunnels through the surrounding mountains. A Seaside promenade, a beach in the town and a small harbour make for a pleasant place to spend your time while numerous cafes and restaurants will encourage you to linger here. 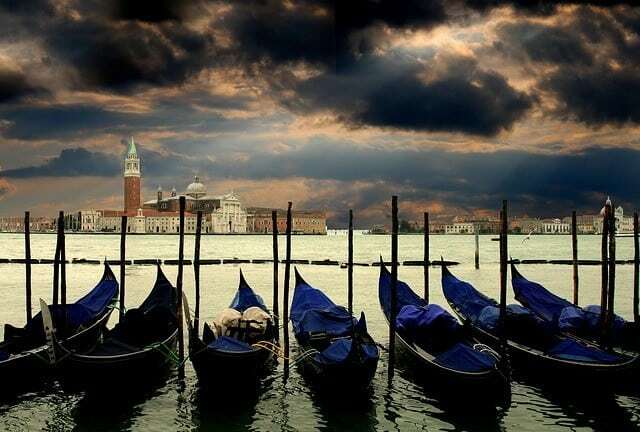 But it is the natural attractions of the Supramonte outside the town that are the real draw. An ideal destination for lovers of the outdoors, you will be spoilt for choice in this area. Adventure seekers can try their hand at numerous sports including hiking, mountain biking, kayaking, or rock climbing. While those looking for more leisurely pursuits will find lots to do here with activities like boat cruises, spending time on the beach and visiting caves. For rainy days there is even an aquarium. Cala Luna – Best for Sea Views. Lovely rooms and a great restaurant overlooking the sea. Massages available. Hotel Nuraghe Arvu – Best for Families. Great swimming pool, good breakfast, playground and near the beach. Il Nuovo Gabbiano – Great Value. Centrally located with balconies overlooking the harbour. When you visit Sardinia, you really do need to make the time to go to the beaches. In fact, it is probably the number one reason that people come here. There are spectacular and beautiful beaches all around the island and we really do feel that they are some of the nicest beaches that you could wish to find. Fortunately, they are very easily accessible and can be combined with the cities, nuraghi and outdoor adventures described above. The beaches are so good and so numerous in Sardinia that we decided they deserved their own post, so please head over to our best beaches in Sardinia post to find out more. Are You Ready to Visit Sardinia? We hope that you have enjoyed our post on where to go in Sardinia and that we have given you some inspiration to plan your own trip. You’ll surely be as mesmerized by her explosive beauty, vibrant colours, and unspoiled surroundings as we were. We would love it if you could share this post using the social buttons below, and please let us know your favourite places in Sardinia in the comments section. Thanks for your detailed article on Sardinia. I have not known about such a beautiful place like this before. Your post has given me an idea on where to take my family to after the New Year 😉 Could you please advice us – a family of 4 – on how much it is gonna cost to travel there? Thank you, it really is beautiful there. Your costs for a family of 4 will largely depend on the type of accommodation that you require and whether you eat out or not. These will be your biggest expenses. We were able to find accommodation for the 4 of us from as little as 30 euros per night but 60 would be a good benchmark for cheap but nice family accommodation. There are a lot of self catering apartments so that is one way to keep costs for food down. We often get takeaway pizza and eat it somewhere nice like a piazza or by the waterfront. You can get pizza boxed up from any restaurant and it is lively and starts from just 4 euros. So it is quite possible to have a nice trip on a low budget, or if you want to spend a bit more and live it up there are some great options for doing that. Where to go in Sardinia is a very great article. You have laid out Sardinia as a place of Paradise in which it’s making me want to pack my bags. And the weather sounds wonderful just as long as it doesn’t get cold. I will have a great time there regardless of what season it is rainy or not. You have done such a great job being thorough and informative with this great post. Thank you, I hope that you have a great time in Sardinia. It is a beautiful place so I am sure that you will! I had heard about Sardinia but did not know any of the wonderful, exhilarating things to do, places to see or activities that are on offer. There is so much activity available, at such a reasonable price that it must become one of the best places to visit. Sardinia has certainly risen quite a few steps up my list of places to go to and visit. Seems to me that the ideal attraction is the simplicity of life in a modern day world, amazing. Thanks, I am glad that you enjoyed the post. Sardinia doesnt seem to be as well known as it should be! I hope that you make it there! Thank you for such kind words! I love to hear that our readers have enjoyed our posts, it makes it seem worthwhile writing them! Please don’t take offence when I say this if you have connections with, or live there but I have always thought that Sardinia was a really poor place, but after reading this post I am certainly convinced that it would be a gorgeous place to visit. You say it’s crowded but when I go on holidays or abroad I hate it being really quiet and boring, I love the hustle and bustle of different countries and cultures. I have seen many photos of Alghero and from what I have seen it didn’t look like a place I would like to visit if I’m honest but your captivating description made it seem better than it does in the pictures I have seen. Are there many 5-star hotels in Alghero or is it more of a cultural place? Thanks for your comment. 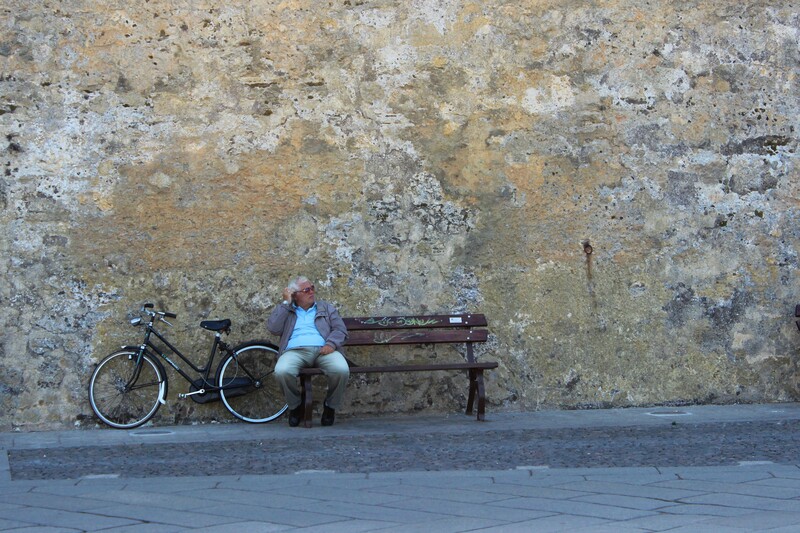 I am not sure what images of Alghero you have seen, all the ones i find are beautiful! Great post…Sardinia is such a beautiful place. You have done a wonderful job in your description of this place. This is the first time learning about this place and it really seem like a great vacation location for the entire family. It’s nice that you have made special mention of places to visit. The beaches looks really clean and relaxing. Overall Sardinia looks really colorful and bright. Looks like there’s never s dull moment. Thank you! We love Sardinia and are thinking of heading back there next year for a bit or relaxing on the beaches which you have rightly noted are very clean and are also beautiful! Hi; I enjoyed reading your post. It is filled with vital travel information that anyone wanting to make a holiday on one of the Islands in Italy will admit that you have help them by giving them many tips in this post. Thank you, I am pleased to hear that youf found this post so helpful! I hope that you do make it to Sardinia, it is a lovely place to visit and ideal for a family holiday! Have fun! I’ve checked the maps, Sardinia is a very unique destination with nice landscapes. Hope to go there sometime. Thanks for the info! i am glad you enjoyed our post. i hope that you do make it there one day! !